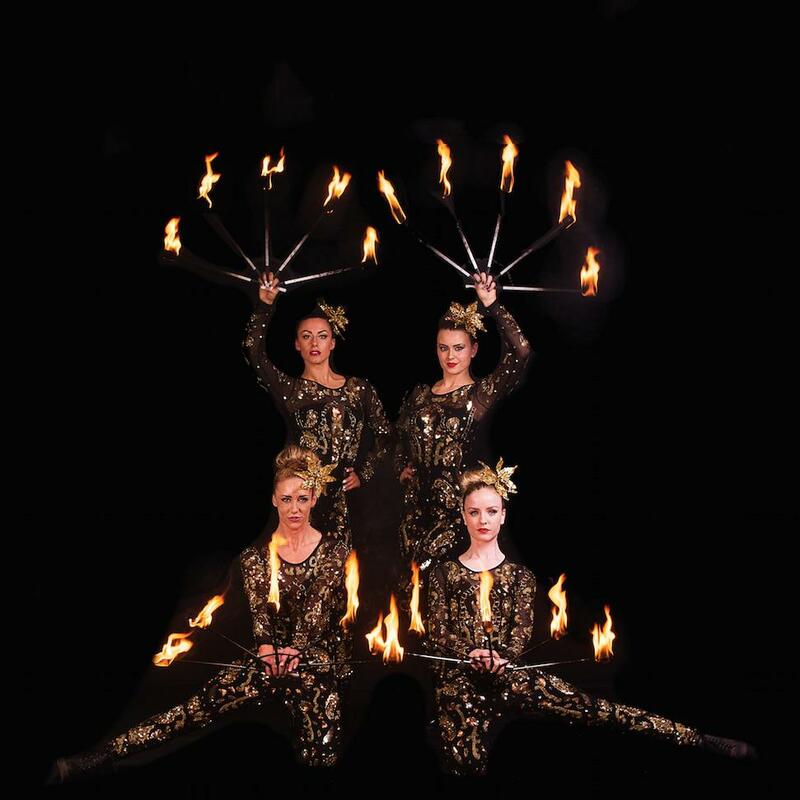 These fire performers are flown all over the world to perform their bespoke fire shows. 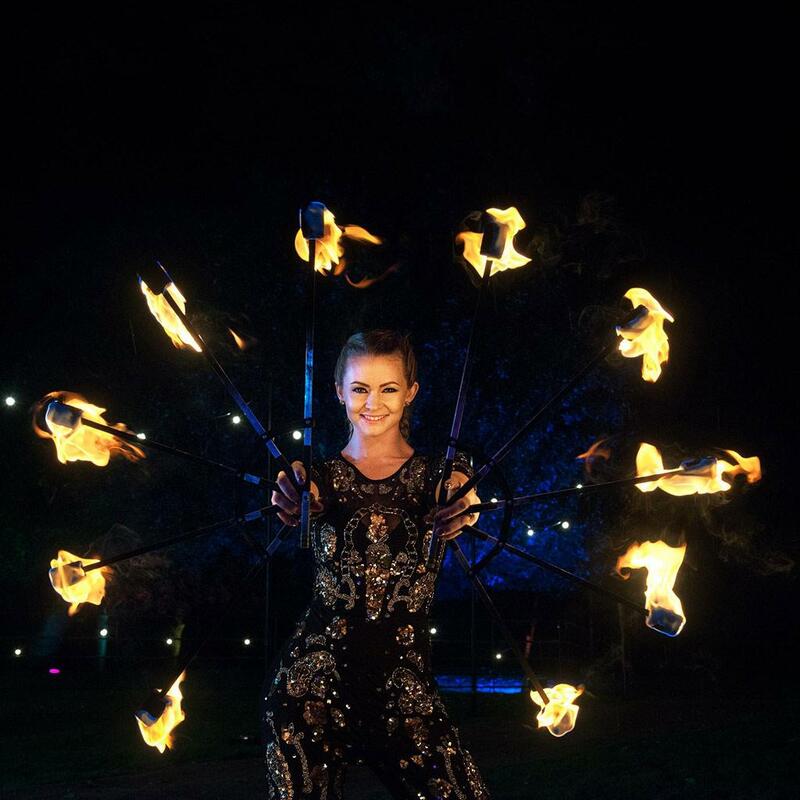 They have everything from solo shows, right through to huge productions with lots of performers and pyrotechnic finales. 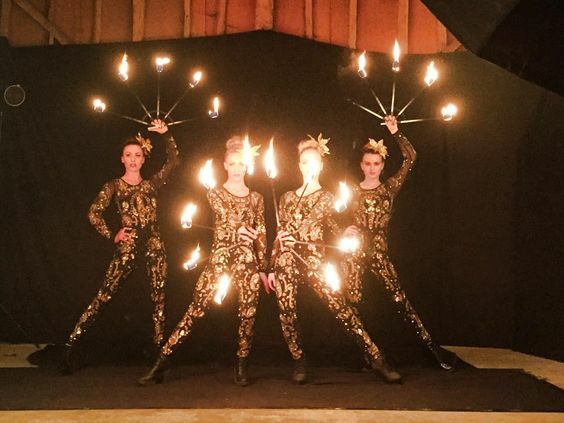 They choreograph fire shows in house and love creating new ones. 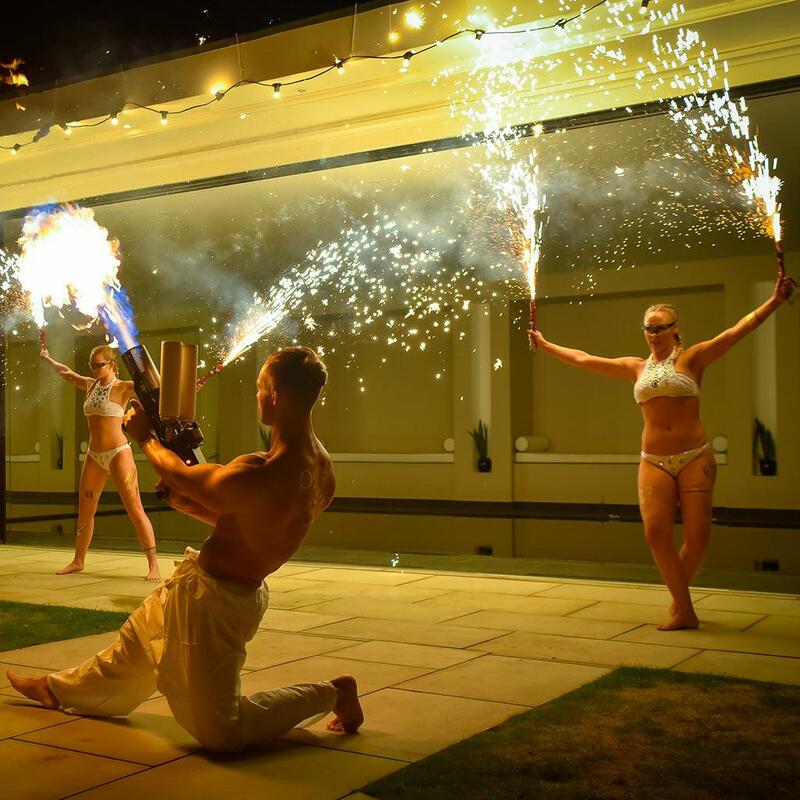 These mesmerising fire performers will literally light up your event, be it a corporate event or wedding or festival. 1 x 30 min meet and great, 2 x 15min ambient, you can replace one of these sets with a choreographed show.